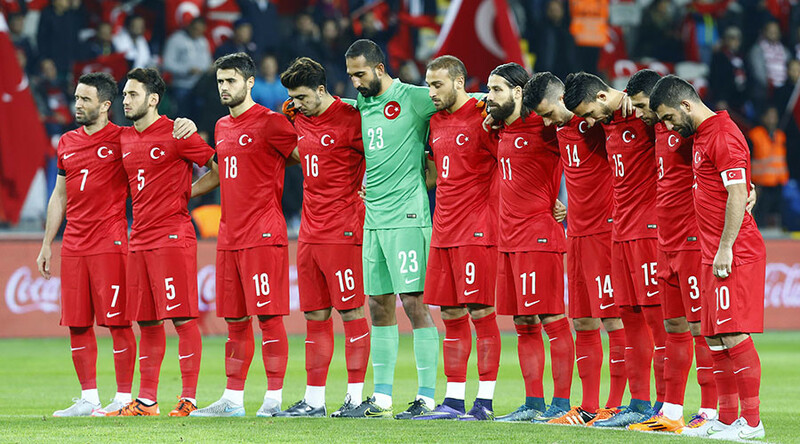 Turkish fans booed during the minute’s silence for the victims of the Paris attacks before their national team drew 0-0 with Greece in a friendly international on Tuesday. The mark of respect was observed at matches across Europe, including at Wembley where France faced England, after Islamic State militants struck Paris on Friday, killing 129 people. Turkey and Greece were meeting on the football pitch for the first time in eight years as part of efforts to improve neighbourly relations, with the Greek Prime Minister Alexis Tsipras and his Turkish counterpart Ahmet Davutoglu in attendance. The Turkish Football Federation had announced a string of additional security measures before the match at the Istanbul Basaksehir stadium, which was a 17,000 sellout. However the occasion was a disappointment before and during the match as both teams ground out a 0-0 draw. Turkey manager Fatih Terim was quoted as saying: "Our fans should have behaved during the national anthems and during the one-minute silence. "Greece is our neighbour. Today is world neighbours day, but our fans didn't behave like neighbours in this match." The minute's silence was also observed before Asian Football Confederation World Cup qualifying matches, and there was additional controversy when Syrian coach Fajr Ibrahim questioned why similar commemorations were not being held for those killed in ongoing violence in Syria. "We stand now 30 seconds for French, but all Syrian people killed, no one stand one second, you have to know this," Ibrahim told reporters in broken English after the game at Singapore's National Stadium. Syria won the game 2-1.